A group of youngsters from the Town Foundation’s Kicks programme represented Huddersfield Town in a Premier League competition. The annual national event, which saw more than 700 young people take part, showcased the Premier League’s Kicks social inclusion programme. 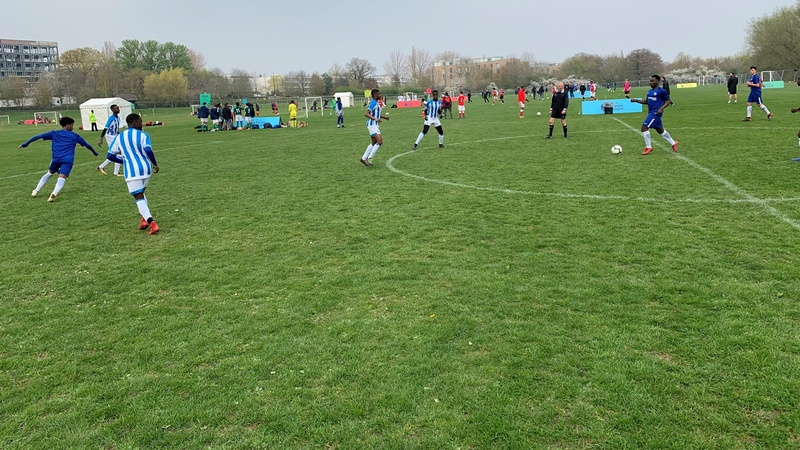 This year’s National Kicks Cup was held at Warwick University and eight Under-16 players selected from the Town Foundation’s Kick provision were granted time off school to represent Huddersfield Town’s official charity. The Town Foundation side was drawn in a league of eight, meaning the youngsters would come up against sides representing Arsenal, Chelsea and Liverpool amongst other. During the day, the Town Foundation team won two games, drew three and lost two, which meant they, unfortunately, couldn’t progress any further in the competition. Despite being knocked out of the Club, the youngsters took part a Q&A session with World Freestyle Football Champion Liv Cooke and former Arsenal Women player Alex Scott. Alex also gave advice on her career pathway to the young people. A disability workshop followed that included amputee football, blind football and sit-down volley ball which was important for the young people to understand equality in sport. The team was awarded a Premier League football and water bottle for taking part in the Cup. Premier League Kicks uses the power of football clubs to regularly engage young people in activity, with the goal of inspiring them to develop their potential, enhance their wellbeing and positively impact their communities to be safer, stronger and more inclusive. “Our players represented Huddersfield Town and our community excellently, showcasing their superb behaviour and ability within the tournament. “They showed tremendous resilience when they fell behind, and perfect fair play when they went ahead during the games they played. “I’m really proud that I could represent Huddersfield Town. I am also proud of my own performance and my team mates.